ENDLESS POSSIBILITIES, by Rev. Dr. Lee B. Spitzer, will help you understand, embrace and fulfill your spiritual journeys in a more faithful manner. Discover the stages of your personal journeys (or your church's group journeys), and open your heart and mind to the endless possibilities that God places before all of us! 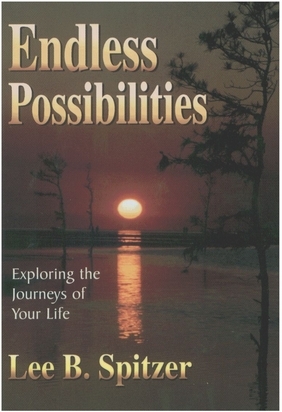 ENDLESS POSSIBILITIES helps you describe your spiritual growth using easy to grasp concepts, personal illustrations and Biblical examples. ENDLESS POSSIBILITIES helps you identify the 5 phases of each spiritual journey so that you can visualize how God is interacting with you. ENDLESS POSSIBILITIES helps churches and organizations create strategic plans and vision statements in response to God's call for your group. God Calls Churches to Journey, Too! Retail: $11.95/Web Site Special: $10.00 (including shipping)! 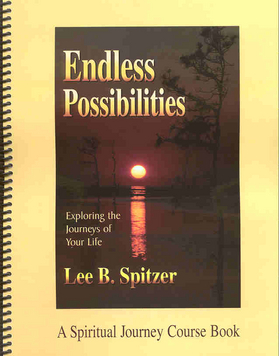 The Endless Possibilities Spiritual Journey Course Book replaces the original Endless Possibilities Spiritual Journal and Workbook (1997, 1998). It includes a number of significant changes from the original. The Exploration Exercises have been revised based on feedback I’ve gained from so many spiritual journey retreats and workshops during the past three years. Each Exploration Exercise has been renumbered and given a title, Scripture passages have been added for both reference and devotional purposes, and the relevant pages in Endless Possibilities are also listed. Some of the original exercises have been dropped, while others have been re-worded. There are 31 more exercises than in the original workbook. Retail: $13.95/Web Site Special: $10.00 (including shipping)! Web Special: Purchase Endless Possibilities and the EP Course Book as a set for just $18.00 (including shipping)! Introducing Jesus Christ from Cover to Cover by Dr. Lee B. Spitzer! Jesus Christ is the central figure of Christianity. The Gospels chronicle Jesus’ journey and contain a pattern that can help us understand the true meaning of his life. But before Jesus lived, a mysterious and multi-faceted Messianic thread wove itself through the pages of the Hebrew Scriptures. How did Jesus respond to this Jewish hope? Following Jesus’ resurrection, the first generation of Christians grappled with the often challenging implications of his Messianic journey and message. 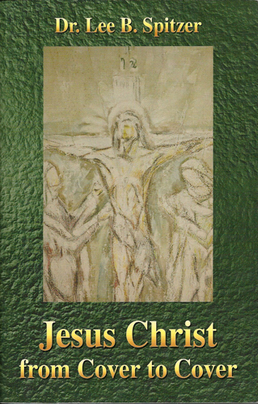 JESUS CHRIST FROM COVER TO COVER traces the Messianic theme of the Scriptures from Genesis to Revelation. Informed by both Dr. Spitzer's Jewish heritage and unique Endless Possibilities perspective on spirituality, JESUS CHRIST FROM COVER TO COVER challenges the reader to encounter Jesus in a new way. Retail: $19.95/Web Site Special: $12.00 (including shipping)! Called to High Adventure is a book whose time has come! Finally, a book about the Holy Spirit that builds bridges rather than barricades, that brings Christians together instead of tearing them apart. This fresh approach to the ministry of the Spirit will greatly encourage pastors and leaders who earnestly desire spiritual renewal but who want to get there with theological integrity, and without creating unnecessary divisions within their churches and organizations. 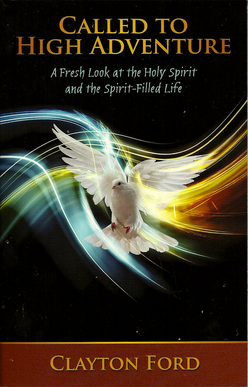 This book will also benefit every Christian who hungers for a deeper and more dynamic life in the Holy Spirit. Dr. Clayton Ford is the National Chair of Holy Spirit Renewal Ministries (hsrm.org), an organization dedicated to spiritually revitalizing churches, universities, seminaries, and Christian organizations. He has been a Baptist pastor for over thirty years. Clay is a sought-after speaker, and he has focused his ministry on leading Christians and churches into a deeper life in the Holy Spirit. A variety of approaches have been developed for integrating psychology and practical theology. Whether you are a professional counselor, a pastor, or a Christian worker, you are faced with the dilemma of choosing from an array of choices and knowing what approach will be the most effective with the individual you are seeking to help. 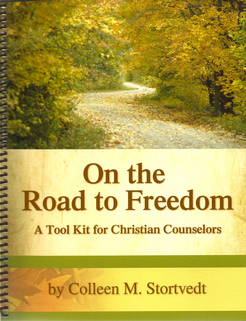 On the Road to Freedom aids in this process by summarizing a variety of approaches to biblical counseling and providing suggestions based on the author’s experience regarding how and when to use them. On the Road to Freedom addresses a way of thinking and living on the part of the therapist that contributes to effective integration. 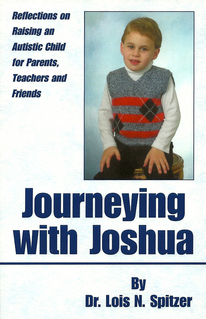 It provides a deeper understanding of many of the basic issues encountered in counseling, such as identity, forgiveness, repentance, and suffering along with practical tools in the form of charts, diagrams, games and homework assignments which can be used in the counseling process to address these issues. This manual challenges the reader to think outside the box about creative ways to reach clients or counselees and to become skilled in using the Scriptures to help them understand and live out God’s ways. On the Road to Freedom also provides an understanding of which methods and tools could be helpful in dealing with a person with a specific diagnosis or issue such as depression, anxiety, grief, trauma, or impulse control. Colleen Stortvedt has been a bilingual therapist at Oasis Counseling Intl. in Norfolk, Nebraska for the past 20 years and has a doctorate in Biblical Counseling. She has a passion for facilitating the process of integrating the spiritual and psychological perspective in therapy. She and her husband Mark have traveled internationally to provide training in this process and to care for Christian workers. Discover how the Holy Spirit uses spiritual journeys found in the Scriptures so that we can live faithful lives. Learn how to uncover the themes of your journey by identifying with Bible characters and stories. 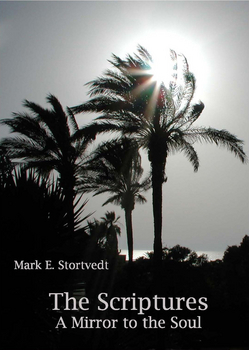 In The Scriptures: A Mirror to the Soul, you’ll explore the spiritual journeys of 10 Bible characters and will discover meaning and insight for the journeys of your own life. Dr. Mark E. Stortvedt has 27 years experience as a pastor and mental health practitioner and is the founder and Executive Director of Oasis Counseling International, with offices in Norfolk, O’Neill and Ainsworth, Nebraska. Dr. Stortvedt has completed his Masters degree in Clinical Pastoral Counseling and his Doctorate in Professional Pastoral Counseling at Evangelical Theological Seminary, Marshfield, Missouri. Israel during the Summer of 2001. . . Imagine what can happen when a Baptist church sends its Jewish-Christian senior pastor to Israel for a three month sabbatical! A Summer’s Journey chronicles an inspiring and unique spiritual pilgrimage that takes place during a dramatic period in Israel’s troubled relationship with its Arab neighbors. Retail: $14.95/Web Site Special: $14.00 (including shipping)! You have just been told you child is autistic. Who can you turn to? Who can give you advice? Lois Spitzer began to suspect that her son, Joshua, was autistic around the time he was two years old. This life changing discovery cast her on a journey in which fears, hopes, joys and sorrows became daily companions. Having a child with autism is not the end of the world. It is the start of a journey replete with surprises and incredible delights. In this collection of reflections, you’ll learn how one family helped their special son grow and overcome challenges by enlisting a bevy of friends, teachers and other very special people and organizations. Dr. Lois N. Spitzer is a linguist who earned her Doctorate of Education in Applied Psycholinguistics from Boston University. She is currently an Assistant Professor of Education and TESOL Program Development for the Richard Stockton College School of Education, NJ. Dr. Lois Spitzer is available to speak to your parents, teachers or church group. To write to Dr. Lois Spitzer, send your e-mail to LNSOnline@comcast.net.